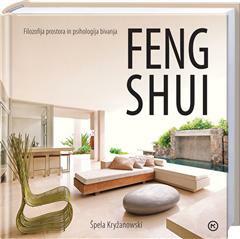 The book gives a detailed historical overview of feng shui methods and schools, and the most important concepts that can enrich contemporary architecture; the reader learns of the sensory perception, materialistic and spiritual worldview, the laws of the energy fields as understood by bio-energy healers and the laws of contemporary physics related to this field. The biography of the one-hundred-year-old Boris Pahor, the Slovenian writer and thinker from Trieste, is also a tale of one of the most turbulent centuries in human history. With his lucid thinking and engagement, the author constantly provoked the authorities in power, finding himself at the most sensitive crossroads. To embark on these paths with him then, represents a portrayal of the entire twentieth century. An unputdownable innovative novel about freedom! The author skilfully interweaves the story of a European woman travelling across the Balkans to the Arabian Peninsula with the political reality of the tumultuous Arabian Spring and an intimate search for love and freedom. The love story of an elderly Finnish woman and a Greek man. A genuine historical blockbuster, with 23,000 hardcover copies sold in the first six months after its release, this is the definitive biography of Tito, by a renowned Italo-Slovene historian.